Helen Sutherland Wilson (née Winny) passed away peacefully at the Rosetown & District Health Centre on January 27, 2019 at the age of 85 years. Helen was a bit of a celebrity in Rosetown having been awarded Citizen of the Year for 2017 for her involvement in the growth and development of Rosetown & District Museum. She was also honoured as Volunteer of the Year in 2014 at the district level for her work. The museum was her passion. Among her other passions were the Sovereign and Rosetown United Churches, quilting, bowling, widow's group, dance club and above all, her soul mate Rob. Married for 55 years, Helen was Rob's partner in farming, family and a very active social life. She treasured her daughters Elizabeth, Joan and Eleanor. As the sons-in-law Keith, Wajdi and Ed joined the family, she welcomed them into her circle of loved ones. She adored her grandchildren Courtney, Manuel and Andrew and attended as many of their activities as possible in Calgary and Winnipeg. Helen was the only child of Gordon and Nan Winny, born in Milden and raised in the Sovereign District. She lived her entire life in the Sovereign and Rosetown areas and will be dearly missed. 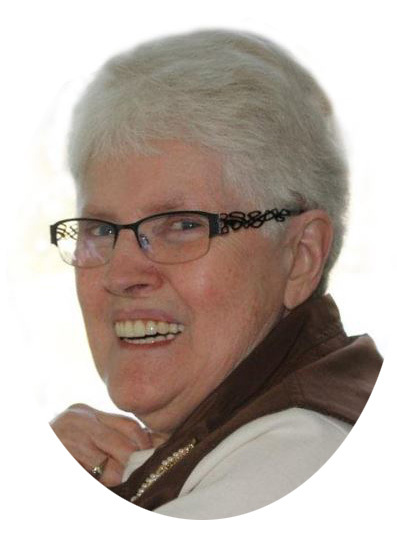 A Celebration of Helen’s Life will be held on Saturday, February 16, 2019 at 11:00 a.m. at the Rosetown United Church with Reverend Jo-Ann Hills officiating. In lieu of flowers, donations in memory of Helen may be made to the Rosetown & District Museum, P.O. Box 37, Rosetown, SK, S0L 2V0 or to the Rosetown United Church, P.O. Box 506, Rosetown, SK, S0L 2V0.